What’s Happening to Frequent Flyer Programs? Delta Airlines announced a significant change in their qualification metrics for their frequent flyers that may reflect a more general trend in the industry. In short, to qualify for elite status, it was no longer enough to collect mileage with Delta and its airline partners in SkyTeam, it was also necessary to spend money on Delta flights more specifically. 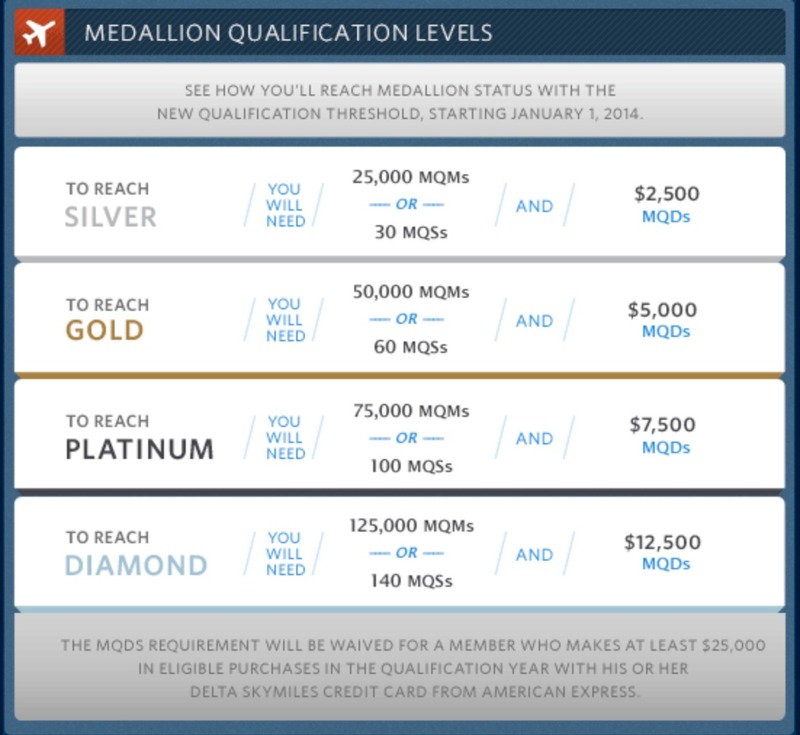 Without spending a preassigned threshold of Medallion Qualification Dollars (MQDs), Delta’s frequent flyers could not be guaranteed elite status (see the table below). Traveler discussion boards and social media venues understandably gave the changes thumbs down. Delta Airlines is the first major “full service” airline to explicitly measure loyalty by how much money you spend with the airline. In some ways, it’s entirely logical that a network carrier like Delta that offers flights to almost all major destinations worldwide should be rewarding its customers for choosing Delta rather than its SkyTeam partners since it captures the lion’s share of the revenue on a flight it operates. 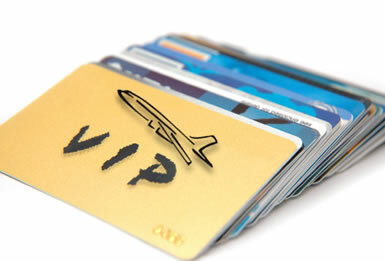 NBC News estimates that in 2011 alone, there were almost $16bn worth of unclaimed frequent flyer miles. According to http://www.frequentflyerservices.com, between 1981 and 2005, the number of available frequent flyer miles rose from 2.2 billion to 14 trillion! These represent a potential liability for airlines – unless they can have them expire, lower their value (by increasing the number of miles required for award tickets or upgrades) or restrict their usage. Another tactic being increasingly adopted by European carriers is to raise their “fuel surcharge” and other non-refundable charges on award tickets relative to those levied on a ticket paid for by cash. All in all, from making status harder to achieve and to devaluing the accumulated mileage of their frequent flyers, it is increasingly more difficult for frequent flyers to maintain their status with their airlines. A shift toward revenue based qualification – Business travelers and people who are traveling on unrestricted tickets will gain from this move. However those passengers who fly on discounted tickets and frequent flyers who exploit the value of frequent-flyer programs by earning miles through lower cost tickets and them redeeming for more expensive award flights are set to lose out. Increasingly limited seat availability – Airlines are reducing the number of seats on planes that could be filled by redeeming miles on award tickets. When combined with more rapid expiry of mileage, the airlines can reduce their liability. More opaque and (deliberately) convoluted rules – When Delta sent out its email to frequent flyers announcing changes to the program, it was written in such a complex way that many customers didn’t even read it properly. This isn’t only a Delta tactic. It’s becoming increasingly common for all carriers. And governments and regulators are not forcing airlines to simplify their rules. Devaluation of Mileage – Airlines are raising the cost of award tickets (both in mileage and those absurd “fuel and other surcharge” items. They are also devaluing mileage when it comes to redeeming them for non-flight awards from their gift catalogs. From a strategic marketing perspective, these trends make no sense for two reasons. First, it is well established that the cost of getting a new customer is considerably higher than customer retention. Depending on who you ask, it can be 4-7 times more costly to do so. Second, once again, an airline that chooses to not copy everyone else by eroding the benefits of their loyalty program may be able to attain a differentiated advantage. But then again, as this blog has frequently opined, airline executives are obsessed with competitive parity…at the expense of strategic distinctiveness. PreviousTurkish Airlines need to take English language classes!?! NextCan Flag Carriers Ever Hope to Make Profits?